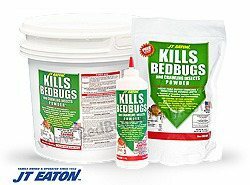 When purchasing sprays and powders for bed bugs it's important to only purchase those that have been evaluated and registered with the EPA. 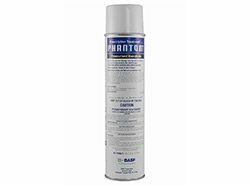 All of our powders and sprays are labeled for bed bugs and have been proven effective if used according to the product's label. 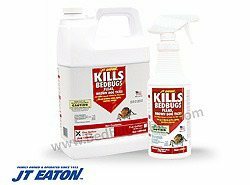 Powders and sprays not registered and regulated by the EPA may not be safe or have any real effect against bed bugs. 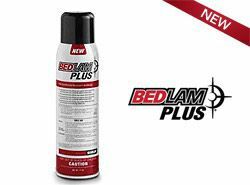 Bed Bug Supply has taken this strict measure to protect our customers against products that may not be safe or effective. Always follow the product's label to ensure proper usage and expected results. 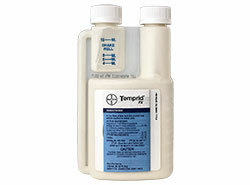 Bed bug powders and sprays are used as a part of our proprietary 4-step bed bug removal solution. 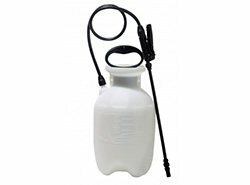 Beware of sprays and powders that are not registered and regulated by the EPA as they may not be safe or have any effect against bed bugs. 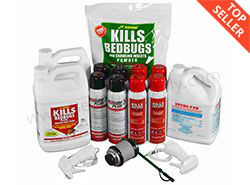 Professional Bed Bug Kit (Commercial Application) With New Bedlam Plus *ON SALE"
We carry professional-strength bed bug powders and sprays from recognized brands such as J.T Eaton, Bedlam, Temprid and STERI-FAB. 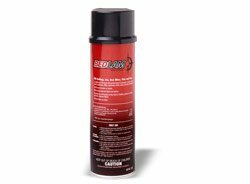 We carry only the top quality bed bug sprays, and are constantly updating our catalog to match the current needs of our customers. 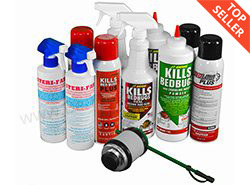 While most retailers carry sprays that use synthetic pyrethroids, which many strains of bed bugs have grown resistant to, we focus on products that are proven to be more effective. 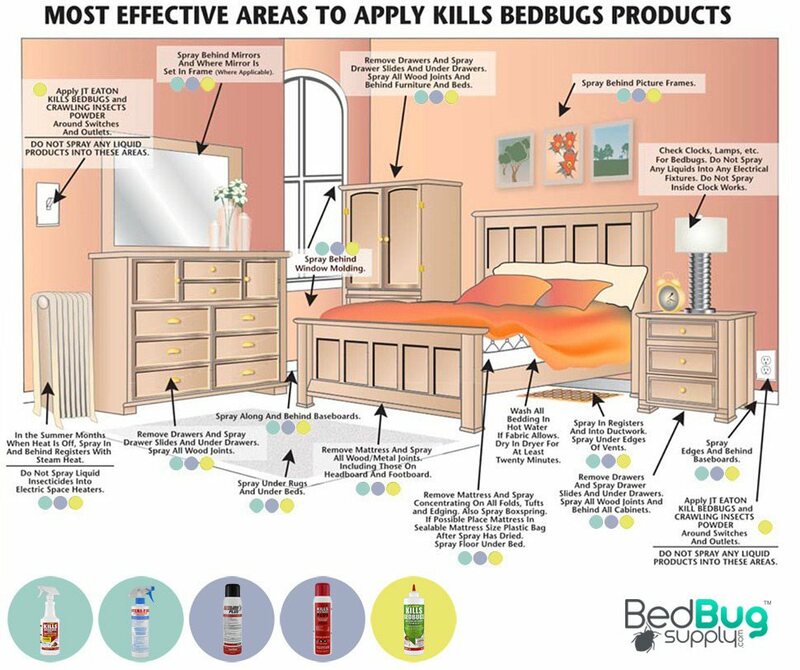 Bed bug sprays and powders are found in two categories: contacts and residuals. 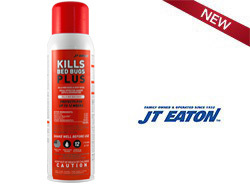 A contact killer works exactly how you’d think – it kills bed bugs on contact. 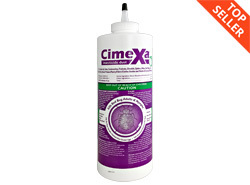 This is a great solution for quickly cutting down on the population of a bed bug infestation. 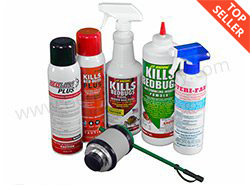 Most common pest killers use a synthetic pyrethroid as their main active ingredient. 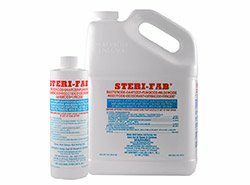 These solutions tend to have very poor results when used to get rid of bed bugs, unless they are one of the newer formulas. 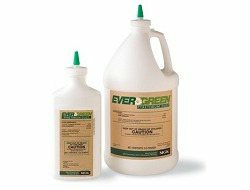 A better alternative is to use a spray that uses natural pyrethrins. 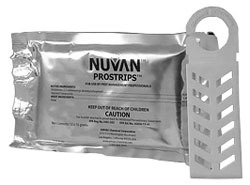 These are much more effective at killing all strains of bed bugs on contact. 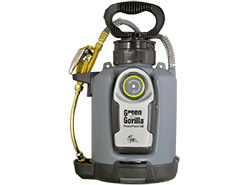 Contact sprays usually evaporate within hours. 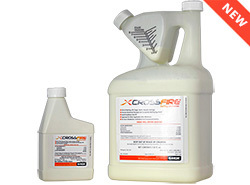 For long-lasting bed bug control, you'll need to apply residual compounds as well. Residuals work for up to 12 weeks. 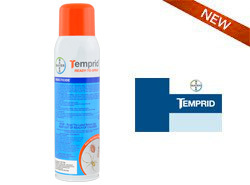 Chemicals like fenvalerate or imidacloprid will kill bed bugs and their eggs for weeks after application, ensuring that an infestation won't get a chance to repopulate after you douse them with a contact killer. 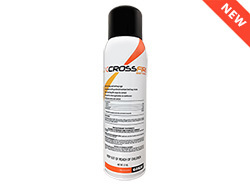 It’s important to note that unlike pyrethrins, residual sprays can be harmful for people and pets, and should only be applied in cracks and crevices (areas that your skin won’t come in contact with). 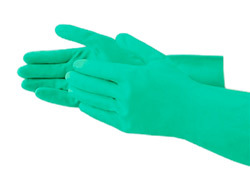 Be sure to always follow the product’s label and MSDS for safe and effective usage. It's easy to get flustered by how many pesticide sprays are on the market these days. That's why we pride ourselves in being the authority on bed bug treatment solutions. 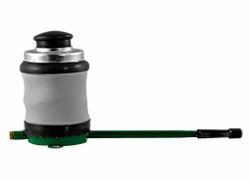 Our product pages are packed with information, reviews, and instructions. We also have support available by phone or live chat, with bed bug experts standing by to answer your questions.